The 12th International Fair for Agro, Food and Drink Products, Packaging and Processing Equipment - Agro+Food+Drink+Tech Expo Georgia 2012 – was held in ExpoGeorgia exhibition center in Tbilisi (Georgia) from November 28 to December 1. 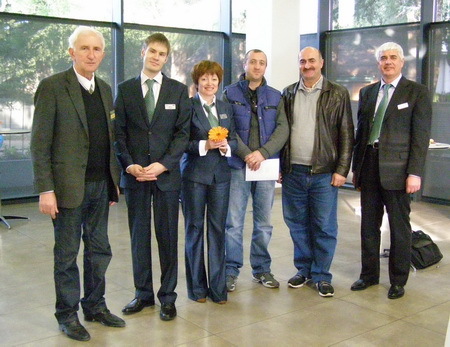 Ostrov Company took part in that fair as an international exhibitor. Refrigeration equipment Ostrov manufactured at the factory in Prague (Czech Republic) was presented at our stand. During the exhibition representatives of about 100 companies including guests from Russia, Ukraine, Armenia, Turkey and even Iran visited our stand. 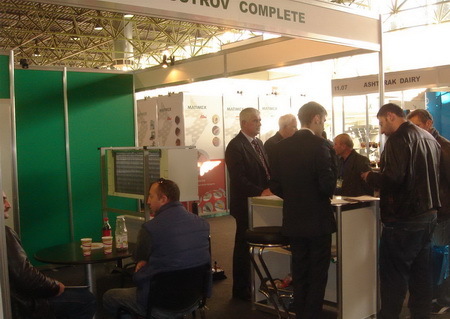 The representatives of firms, which produce, process and store agricultural products, were interested most of all. 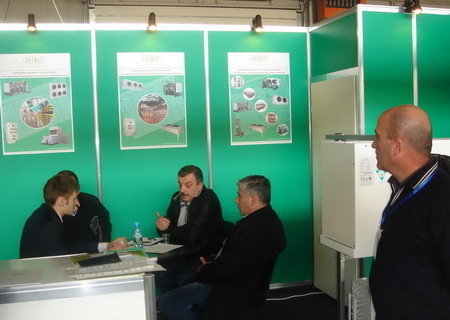 Within the framework of the fair, Ostrov company conducted a seminar “Usage areas of Ostrov refrigeration equipment”, which was visited by specialists of Georgian agro-industrial complex as well as companies working in the field of refrigeration equipment designing, assembling and service. Our colleagues who worked at the stand are sure that the exhibition Expo Georgia 2012 was very successful and effective for us. We can make a conclusion that refrigeration equipment of high quality is demanded by Georgian market, especially by agricultural firms. We hope for further growth of Georgian refrigeration market and strengthening of partnership with Georgian companies.